Ramadan Mubarak! Blessed Ramadan 2010 / 1431 A.H. 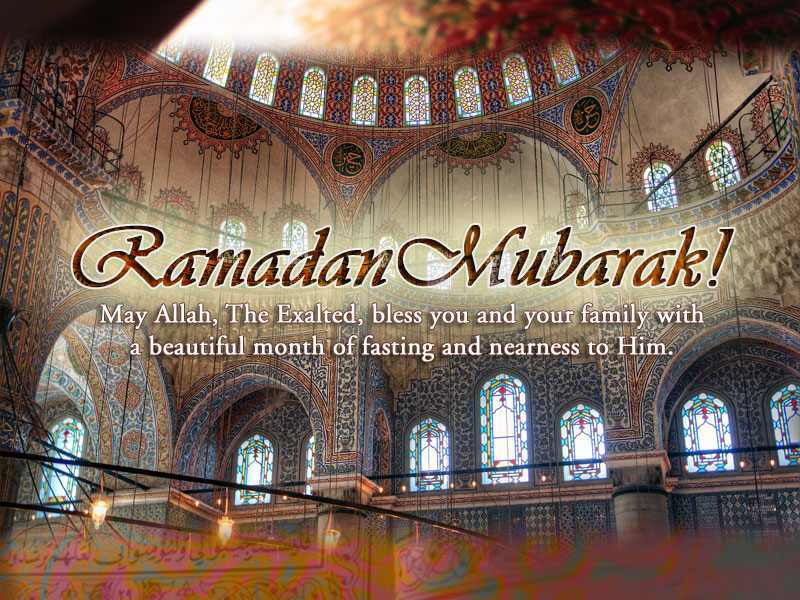 The sacred month of Ramadan is upon us, Alhamdulillah. As I mentioned in the previous post, Ramadan Announcement 2010, the Fiqh Council of North America (FCNA) and the European Council for Fatwa and Research (ECFR) have announced that the first day of Ramadan will be Wednesday, August 11, 2010, and Eid ul-Fitr on Friday, September 10, 2010, insha’Allah. (183) O you who have believed, decreed upon you is fasting as it was decreed upon those before you that you may become righteous – (184) [Fasting for] a limited number of days. So whoever among you is ill or on a journey – then an equal number of days [are to be made up]. And upon those who are able [to fast, but with hardship] – a ransom [as substitute] of feeding a poor person [each day]. And whoever volunteers excess – it is better for him. But to fast is best for you, if you only knew. (185) The month of Ramadhan [is that] in which was revealed the Qur’an, a guidance for the people and clear proofs of guidance and criterion. So whoever sights [the new moon of] the month, let him fast it; and whoever is ill or on a journey – then an equal number of other days. Allah intends for you ease and does not intend for you hardship and [wants] for you to complete the period and to glorify Allah for that [to] which He has guided you; and perhaps you will be grateful. (186) And when My servants ask you, [O Muúammad], concerning Me – indeed I am near. I respond to the invocation of the supplicant when he calls upon Me. So let them respond to Me [by obedience] and believe in Me that they may be [rightly] guided.